You could win a free physical puzzle! 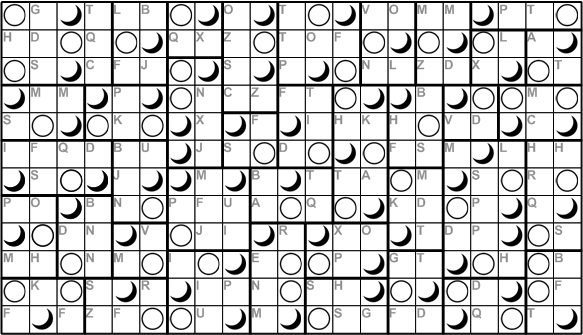 If you solve this month's ænigma, I pray you will send us your final answer (addressed to aenigma@pavelspuzzles.com). You will thereby be automatically entered into a random drawing for a free copy of the puzzle X Games, cleverly designed and manufactured by my associate, Pavel Curtis! Your entry must be received by late on the last day of the month to be entered into the drawing. If your entry is chosen, Mr Curtis will request your postal address so that he may have the prize delivered to you (free of charge, naturally). You can also claim a 10% discount! Every month, you may use the answer to my ænigma to claim a 10% discount on any of the fine wares offered by Pavel's Puzzles. When making your purchase, simply enter that answer into the field labeled “Instructions to the merchant” and my associate Mr Curtis will promptly issue your discount in the form of a refund.